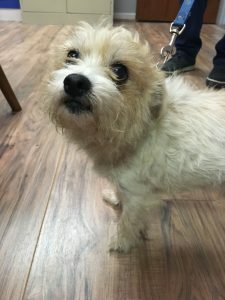 He is a terrier mix who is about 3-5 years old. Lucky is a very sweet dog and walks well on a leash. He is happy to see people, wants to go walking often and likes other dogs. Lucky is with Waccamaw Animal Rescue and is available for adoption.